Welcome to Corporate Kits Plus, Inc! Proudly Serving all 50 States! With over 20 years in business, we have been providing both retail and wholesale customers with quality corporate, legal, and notary supplies. We specialize in creating corporate minute books with all the necessary components to help get a small business started and to keep all their important documents organized. Thank you for your interest in Corporate Kits Plus, Inc. We pride ourselves in excellent customer service with 48 hour or less turnaround time for all standard products. Orders placed by 11 am are usually shipped the next day via UPS Ground. Our friendly and well trained staff is available to answer your questions. Please call about our same day Rush Options. Please call1-888-736-5187 or email us at info@corporatekitsplus.com. 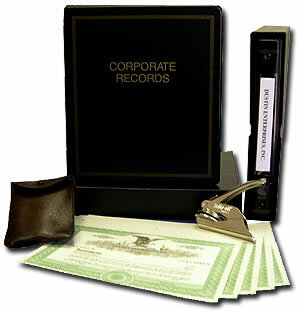 ALL NOTARY AND ESTATE SUPPLIES ARE NOW 10% OFF!! !